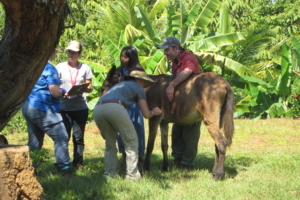 At the end of January, Danica went to Costa Rica to work with over one hundred horses in remote villages with the Equitarian Initiative group. The Equitarian Initiative is a non-profit organization established by equine veterinarians to sustainably improve working equine health by harnessing the passion and expertise of volunteer veterinarians. They prepare volunteer veterinarians all over the world to deliver heath care and education to improve the health, nutrition, productivity and welfare of horses, donkeys and mules. Please see our February 2017 Case of the Month for more pictures and info! In January 2016, Danica volunteered her time, veterinary skills, and supplies to assist various species at the Elephant Nature Park as well as spent a week in support of their Journey to Freedom program. It was difficult to witness the cruelty these elephants have suffered as a result of the entertainment and forestry industries primarily as well as the land mines from surrounding war torn countries. However, the Journey to Freedom program was a more uplifting experience. 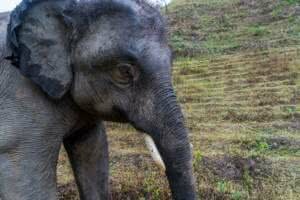 It aims to develop a sustainable cruelty-free manner in which tourists can observe elephants, in a more natural habitat, within their native tribe communities. In October 2012, Danica visited the HBHS in the small village of Hopkins. 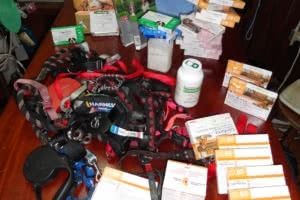 She brought the clinic various medical supplies to help the dogs and cats in the community and abroad.